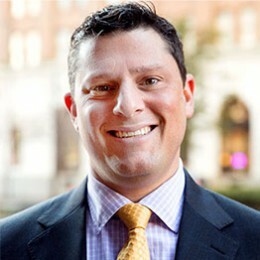 Ben Kadden is an attorney at Lugenbuhl, Wheaton, Peck, Rankin and Hubbard. His practice focuses upon Bankruptcy, Restructuring & Creditors’ Rights, Corporate & Commercial Law, Mergers & Acquisitions, Commercial Litigation, and Asset-Based Finance. Ben has acted as Debtor’s counsel in the Chapter 11 proceedings for Gulf Fleet Holdings, Inc., East Cameron Partners, L.P., and Bender Shipbuilding & Repair Co. He has served as counsel for various Official Committee of Unsecured Creditors, including acting as lead counsel in the Chapter 11 cases of Saratoga Resources, Inc., A&B Valve and Piping Systems, LLC, Graham Gulf, Inc., and Virgin Oil Company, Inc., and acted as special counsel to the Official Committee of Unsecured Creditors in the Trico Marine bankruptcy. Ben has also actively participated in a number of merger & acquisition transactions pertaining to numerous businesses based in the Gulf Coast, with a focus upon representation of non-public buyers and sellers in equity and asset sales. Because of his experience in complex Chapter 11 bankruptcy cases, Ben has direct experience and knowledge regarding the purchase or sale of assets by distressed companies, including navigating the process while a buyer or seller is in bankruptcy. He has earned an AV Preeminent Rating by Martindale-Hubbell, and been recognized as a Super Lawyers Rising Star (2014 & 2015) and Top Lawyer by New Orleans Magazine in Insolvency and Reorganization Law (2014 and 2015).